For more information about Windbridge Institute research; publications; news, events, and media; investigators; advisors; for a list of our Windbridge Certified Research Mediums; or to join our email list, please visit our website. Some people are just really hard to shop for. And no matter who is getting your gift, it's tough not choosing something too personal ("Sorry, boss, you seem like someone who would enjoy satin sheets"), too impersonal ("But, honey, that toaster can fit a bagel! "), useless ("I didn't realize you were lactose-intolerant -- I'll return that cheese log"), or just in poor taste ("Sorry, I didn't realize when I tried to regift that bottle of wine to you that you've been sober for five years"). This holiday season, you might want to consider giving the 2016 Monthly Meditation Wall Calendar. Research has shown that meditation can be beneficial for stress reduction, health, mood, brain function, performance, creativity, and even psychic development. Providing a friend or loved one with an easy way to bring meditation into his/her daily life is truly a gift. Often people find trying to clear their minds difficult, but meditation is actually about focusing your attention and being mindful. It's not about asking your brain to stop doing all its jobs (it hates that!). 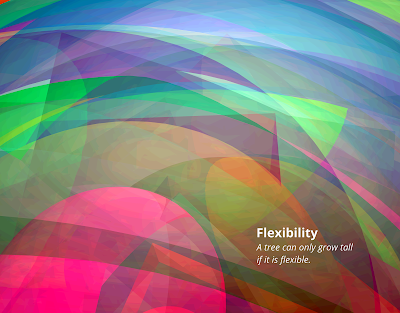 It's easy for your mind to wander with your eyes closed, so a visual image that you can focus on can be helpful. In the 2016 Monthly Meditation Calendar, we put together 12 striking abstract images that were created from data that were collected while meditators focused on 12 specific ideas including Abundance, Gratitude, and Choice. The data were transformed into images using custom Windbridge Institute software that my husband Mark Boccuzzi wrote. I wrote the intentions for each month that the meditators focused on and that appear on each page. The calendar can be used as a reminder to take a few moments every day to focus on the image, be mindful of your breathing, and just exist in the present without worrying about the past or planning for the future. Voila! You just meditated! Specific simple meditation instructions are included with the calendar. Grab a bunch for unique, gender-neutral gifts to use as last minute gifts, in gift exchanges, as hostess gifts, as teacher gifts, as New Year gifts, and more. In addition to the benefits of meditation listed above, a recent article in Grief Digest listed using a physical wall calendar (not an app) with room to write as a strategy for the bereaved in the new year "to be honest about the pain of our grief and resolve in the months to come to be proactive and do the necessary griefwork." It was suggested that someone who is grieving can use a calendar to write in 'appointments' with herself so that when well-meaning people try to get her to do things she might not be up for doing, she can say, "I need to check my calendar" and decline gracefully if need be. "Just by reserving time for yourself, you will give yourself time to breathe and reflect as the new year, with all of its demands and changes, unfolds." A calendar with listed appointments (with yourself or others) also addresses the feeling that "one day drags into the next, always the same." The Monthly Meditation Calendar might be a thoughtful gift for someone in your life who is grieving. All sales support consciousness research at the Windbridge Institute (so they also qualify for Small Business Saturday). Thanks! May the meditation practices you create bring peace, health, and joy to all those who receive your gifts. 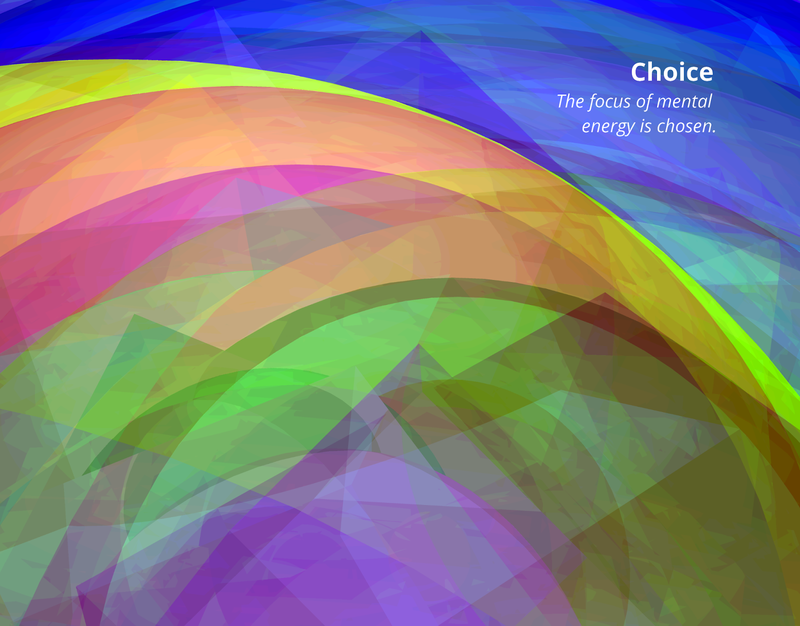 PS - For more about the process behind the creation of the images, see Visualizing Intention: Art Informed by Science by Mark Boccuzzi. There are two main categories of mediumship: physical and mental. During physical mediumship, physical effects including materializations and table-tipping are produced. During mental mediumship, the medium conveys messages from deceased people or animals (called discarnates) to their living loved ones (called sitters) during a specific event (called a reading). The states of consciousness experienced by the medium during either of these two different types exist along a continuum from waking states to trance states of varying depth. Many mediums experience significant alterations of consciousness on some occasions and a waking state (albeit somewhat altered) on other occasions. In my research at the Windbridge Institute, we use the term medium to describe an individual who experiences regular communication with the deceased. This is in contrast to a psychic who regularly experiences information about or from people, events, places, or times unknown to him/her. It is often said that all mediums are psychic but not all psychics are mediums. Anyone can have mediumistic and/or psychic experiences and the terms medium and psychic are used specifically to describe people who have those experiences regularly, reliably, and often 'on-demand'. At the Windbridge Institute, we have been performing research since 2008 with a team of mediums whose abilities have been demonstrated under controlled conditions. This allows us to study the phenomenon with participants who are able to effectively and repeatedly provide information about the deceased during various research protocols. You can be sure the information the medium is reporting does not come from what she can glean from seeing you. The mediumship process seems to be a 'right-brained' or intuitive activity and if she can see you, her 'left brain' or analytical side may get in the way by trying to make assessments about you from your appearance, age, etc. This is one reason why authentic mediums may close their eyes during in-person readings. Any visible expressions of grief you may exhibit will not distract her. If the medium you are seeing is an empathetic one (and that is not a given), the pain you are demonstrating can divert her attention. She can perform readings in an environment that is comfortable for her and, thus, conducive to her process. With phone readings, the medium is not required to, say, vacuum, put on her shoes, or prepare for a guest in other ways. On the phone, a medium can just concentrate on receiving the communication from your discarnate who will be able to find her either way. Please note: To keep prices low, each of my individual books [Among Mediums, Meaningful Messages (which the above excerpt is from), and Vol. 1 of From the Mouths of Mediums] is available exclusively on Amazon.com as a Kindle e-book. However, a single paperback book titled Investigating Mediums (http://amzn.to/1VjkxPb) is now available which includes the content from all three e-books plus additional articles. Please also note that you can download and read Kindle books instantly on almost any tablet, smartphone, computer, or other device using free reader apps available from Amazon.com. I received my doctorate in Pharmacology and Toxicology with a minor in Microbiology and Immunology from the University of Arizona in 2003 where I later served as the William James Post-doctoral Fellow in Mediumship and Survival Research and Co-Director of the VERITAS Research Program until that program closed at the end of 2007. 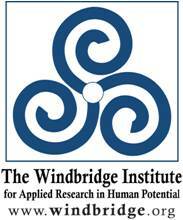 At that time, I co-founded the Windbridge Institute with my husband Mark Boccuzzi where I serve as Director of Research. For more (as well as more personal) info, visit the "Full Bio" page. "Men fear death as children fear to go into the dark; and as that natural fear in children is increased with tales, so is the other." "I believe there is no source of deception in the investigation of nature which can compare with a fixed belief that certain kinds of phenomena are impossible."